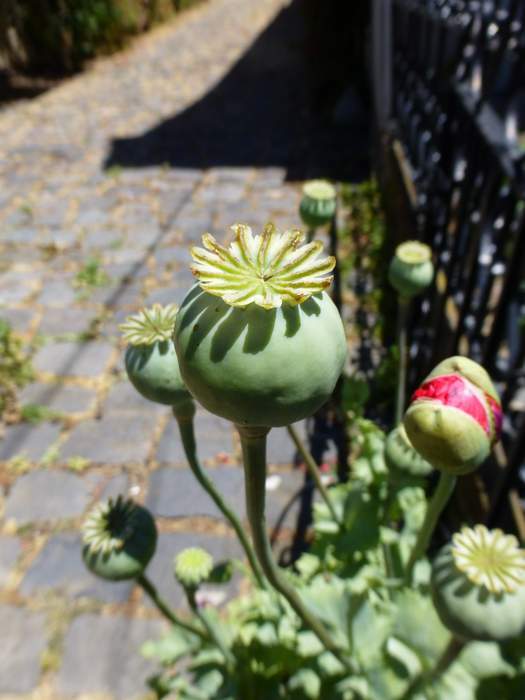 It’s a Papaver somniferum i spotted growing over on Potrero Hill last spring. Since they apparently grow more or less wild all over the country, they don’t seem to be illegal unless you know what they are. And how did i know about this? Well, from an article by Michael Pollan in that font of illegal knowledge, Harper’s Magazine. And please, i’m far too old to have picked one to sample and far too senile to remember where they were.